You are going to love this recipe! It’s super easy, quick, and so delicious. The dish is customizable in so many ways, too. You can choose the size of shrimp you want, and you can adjust the spiciness of the dip. If you can grill these outdoors, I really encourage you to do so. Get out into the wild (even if it’s just your back patio). Breathe in the fresh air, and soak up the sun’s rays. If your stove is equipped with a grill, fire it up, turn on the range hood fan and start cooking! Otherwise, you can always make these in your favorite pan. No worries. Just cook and eat. Combine sour cream, horseradish, parsley, chives, vinegar, sugar, and salt. Stir well, set aside. Toss shrimp with oil and pepper. Place lemon quarters on a hot grill. Grill, cut side down, until well marked. Place shrimp directly on the grill. Turn once. Cook for 3 to 5 minutes, until shrimp are pink. Transfer shrimp to a platter. Place lemon quarters on platter around the shrimp. Serve with the dip. Enjoy! Want more recipes like this? We’ve got them! Try: Spicy Avocado and Yogurt Dip. This entry was posted in Cooking, Cooking with Range Hoods, Food, Recipes and tagged grill, indoor grilling, outdoors, recipes, shrimp on March 16, 2017 by Mila Hose. When you get home, you want to be with your family, dedicate some time to yourself and relax without thinking after a long day. That’s why today’s recipe blog theme is 30 minute meals, so you can save time and eat delicious food too. 30 minute meals also make it easier to eat in versus going out. Read about the potential health risks of eating out in Does Eating Out Put You at Risk of Food Poisoning? 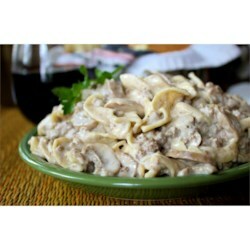 This recipe is a fast and inexpensive version of Beef Stroganoff. Jessica used egg noodles, ground beef, dry brown gravy mix, cream cheese, mushrooms, milk, sour cream and condensed cream of mushroom soup. It’s a pretty easy recipe; you just brown the beef, cook the noodles and mix the rest of it together. All Recipes is an online recipe community where users can submit, review and comment on recipes. People usually review and comment with their modifications and tips. Damn Delicious is a food blog by Chungah; her recipes are quick, easy recipes that are made with fresh ingredients. 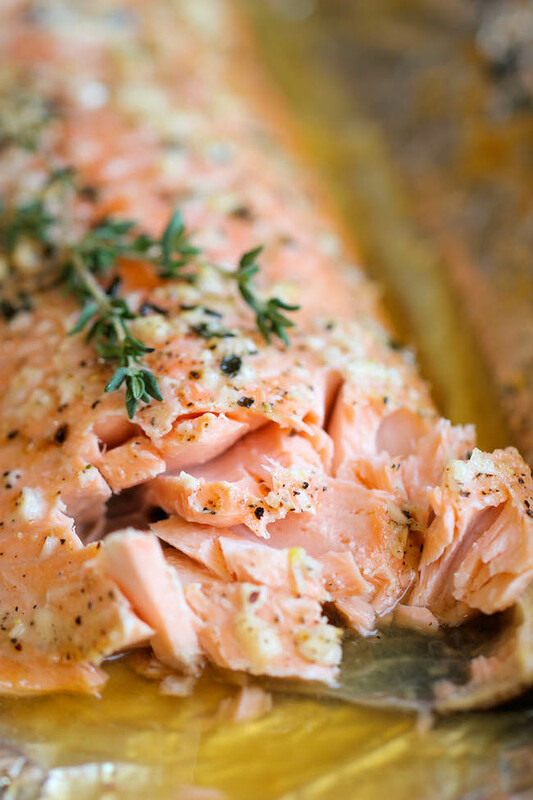 This salmon can be eaten along with a side of fresh vegetables or rice from your rice cooker. This recipe should take 25 minutes and makes four portions. Just season the fish according to her instructions, place it in the foil and put it in the oven for 15 to 20 minutes. The seasoning is made up of honey, garlic, olive oil, white wine vinegar and thyme leaves. This Mexican tortilla chicken soup from Woman’s Day can be found on the food website Delish. Delish is one of the top 10 food websites on the Internet. This soup takes 30 minutes; you’ll need olive oil, garlic, jalapenos, ancho chile powder, fire-roasted tomatoes, chicken broth, avocado, cilantro, shredded chicken, corn, black beans, tortilla chips, sour cream, lime and cheese. You will use an immersion blender, or blender stick, and can choose to make it in a big pot or a Dutch oven. Garnish it with fresh ingredients before serving. This recipe, which originated on My Recipes, can be found on All You. All You is a budget-friendly online publication. All You lists the recipe as costing $2.65 per serving. This angel hair pasta looks like a light, great meal, which includes peas, olive oil, shrimp and heavy cream. You will also find articles on All You about DIY, health, beauty, decorating, couponing, fashion, etc. This homemade curry is easy to put together and budget-friendly as well. Beth at Budget Bytes posts cost-conscious recipes and meals. Her curry recipe takes 30 minutes total to make. You’ll need garlic, curry powder, ginger, olive oil, onion, tomato paste, carrots, diced tomatoes, broccoli, light coconut milk, cilantro, cauliflower and sugar. Don’t forget rice for a side dish to soak up the sauce. Enjoy these recipes! They should fit right into your busy schedule. This entry was posted in Food, Recipes and tagged 30 minute meal, All Recipes, All You, Angel Hair Pasta, Beef Stroganoff, Budget Bytes, cooking, curry, Damn Delicious, Delish, food, meal, recipes, salmon, shrimp, soup, Woman's Day on August 19, 2014 by editor.